Namba is Osaka’s entertainment district and home to some of the city’s best shops, restaurants, and nightlife. On this walking tour, explore the neighborhood by day and gain an insider perspective from a local guide. 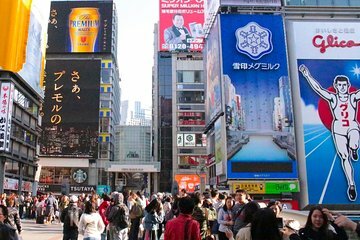 Along the way, stop at landmarks like the Running Man, sample delicious street foods (own expense) along Dotonbori, and visit a historic temple.